Proving just how infectious Beyonce's "Single Ladies" song and video still is, 20-month-old Corey Elliott shakes his toddler legs to the hit song becoming a YouTube hit. Blindie thinks the New Zealander toddler is giving the E-Trade babies a run for their money but still has nothing on Shane Mercado. Obama became the first sitting President to guest on a late night talk show when he visited the The Late Show on Tuesday as part of his media campaign to support his health care plan. The President addressed the recent claims in the press that opposition to his health care reform was fueled by racism saying, "First of all, I think it's important to realize that I was actually black before the election." He went on to say, "whenever a president tries to bring about significant changes particularly during times of econmic unease, then there is a certain segment of the poulation that gets very riled up...FDR was called a socialist and a communist. JFK, there were all kinds of names hurled at him. Ronald Reagan when he came into office he was moving in a different direction and people were sure he was bringing the country down." Obama also received a heart-shaped potato from an audience member. 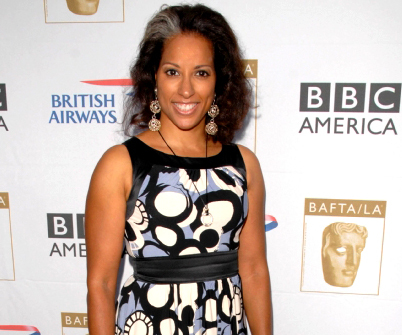 Millicent Shelton is up for an Emmy as the first African American woman nominated in the category Outstanding Directing a Comedy Series for 30 Rock's "Apollo, Apollo" show. Shelton is a graduate of Princeton and has directed countless music videos for hip-hop and R&B artists and episodes of Saving Grace, Lincoln Heights, Everybody Hates Chris and My Name is Earl, and the new show Cougar Town. 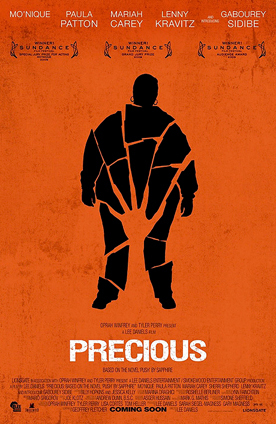 The Lee Daniels directed and produced film Precious took home top honors at this year's Toronto Film Festival on Saturday nabbing the People's Choice Award. Previously titled Push, the intense drama has already picked up awards at the Sundance festival and has critics buzzing about possible Oscar noms. Last year's People's Choice Awards went to Slumdog Millionaire which then took home Best Picture at the Academy Awards. Oprah Winfrey has since picked up the film, which opens in theaters in November. Chris Brown began his court-ordered 180-day sentence of community service for assaulting his ex-girlfriend Rihanna on Wednesday at the police horse stables in Richmond, Virginia. Yup, south of the Mason-Dixon line! 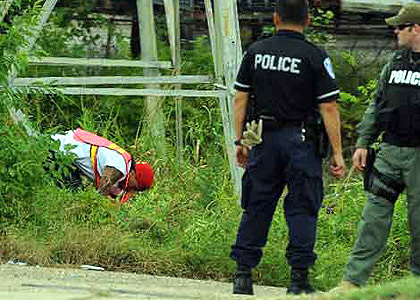 The 20-year-old singer was dressed in an orange safety vest, jeans and a tank top as he cleared weeds and debris. Brown was sentenced in California last month to five years' probation, six months of community labor and a year of domestic violence counseling. He must also pay for the extra security guards that are required while he is performing community service. In what sounded like an off-the-record conversation before a press conference on Tuesday, President Barack Obama called Kanye West a "jackass" for rudely interrupting Taylor Swift acceptance speech during the MTV VMAs on Sunday. "I thought that was really inappropriate, you know. I mean it's like, she's gettin' an award, what're you butting in? I hear you. I agree with you. The young lady seems like a perfectly nice person, she's getting her award, what's he doing up there? He's a jackass." Obama also made light of the informal banter and the tendency for the press to scrutinize his every word and action by saying, "Come on guys, cut the President some slack, I've got a lot on my plate," and went on to refer to his fly catching incident which was caught on tape and blown out of proportion. Do You Agree With Kanye West’s Outburst at the MTV VMAs? 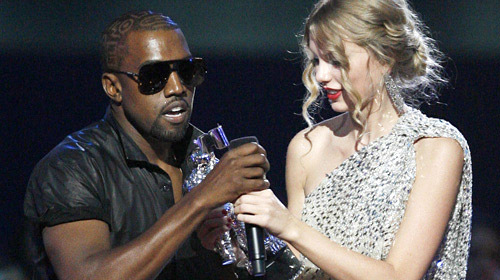 Even though Kanye West was out of line when he interrupted Taylor Swift's acceptance speech for best female video at the MTV VMAs on Sunday night, we kind of think he was right in declaring that Beyonce "had one of the best videos of all time!" Everyone was doing the "Single Ladies" dance, from the President to Justin Timberlake, so how did country singer Taylor Swift end up with the VMA for best female video? And coincidentally, Kanye had an outburst in 2004 when Gretchen Wilson, a country artist, beat him out of the best new artist award at the American Music Awards. He fumed, "I left like I was definitely robbed and I refused to give any politically correct … comment. I was the best new artist of the year!" He even alluded to a conspiracy of some sorts. Does Kanye have a grudge against country music? Is country music grinding it's boot on his neck holding him down?